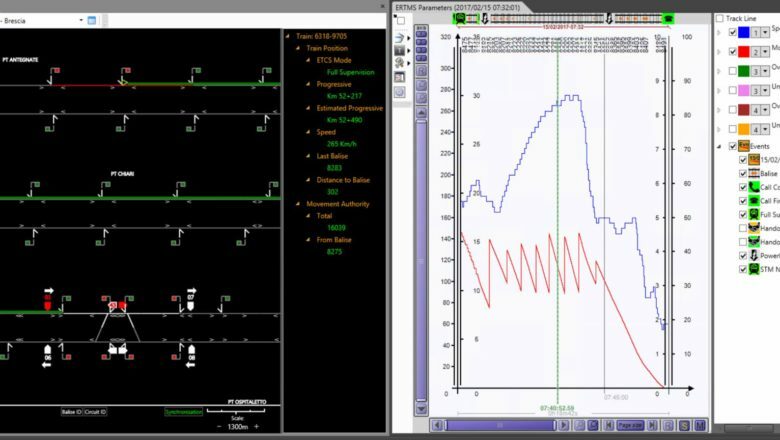 NetProbe Wayside Suite offers unique ability to monitor GSM-R, ETCS and interlocking network performance all within a single solution. Comtest Wireless, independent experts in the field of GSM-R and ERTMS test and monitoring solutions, announce the launch of NetProbe Wayside, its complete L2 ETCS monitoring system (including interlocking) & its first direct collaboration with leading signalling vendor, Ansaldo STS. The launch of the new interlocking module has led to a double first for Comtest Wireless. The new module makes the NetProbe Wayside Suite the first complete solution to continuously monitor and analyse all telecoms and signalling network performance on a level 2 ETCS line. It is also the first direct development for the signalling vendor and contractor for the new high speed line, Ansaldo STS, enabling them to monitor the performance of all three elements (GSM-R, ETCS and interlocking (IXL)) on the newly opened high speed line between Brescia and Treviglio. Marco Bussi and Mehrdad Montazeri at Comtest Wireless explain “This is a significant milestone for the European rail industry, not just for Comtest Wireless. When rail lines are upgraded to the level 2 ETCS safety standard, it is critical that the electronic lineside information continuously passed to the driver can also be continuously monitored. A failure in the telecommunications or signalling network can result in expensive train stoppages and delays, which is why it is critical to identify performance issues as quickly as possible. Comtest Wireless is the only company that can simultaneously monitor and display wayside data from all the GSM-R, ERTMS and IXL networks along a level 2 ETCS line – and also store that data in high volumes, to assist with immediate issue detection and on-going trend analysis. Organisations requiring further information on the new L2 ETCS solution, interlocking module or other Comtest Wireless GSM-R and ERTMS test and monitoring solutions, should contact us.